Summer was really full of sunshine, since the second week of July we basically had no rain for two months. Wells got dry, grass went brown. I spent my days outside. Without a computer. 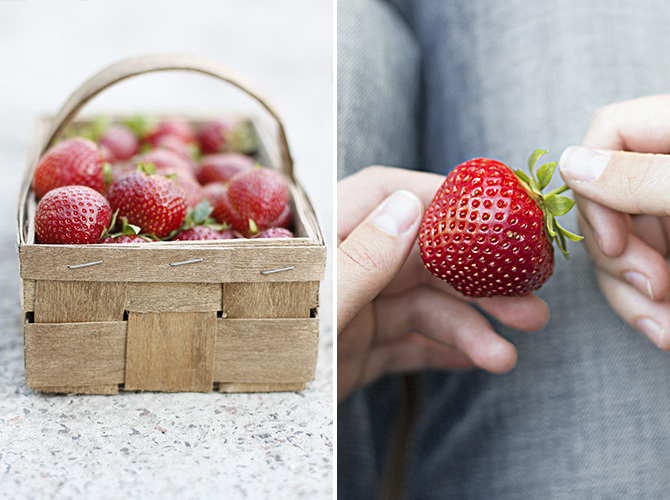 Here are some of the good eats of these months. 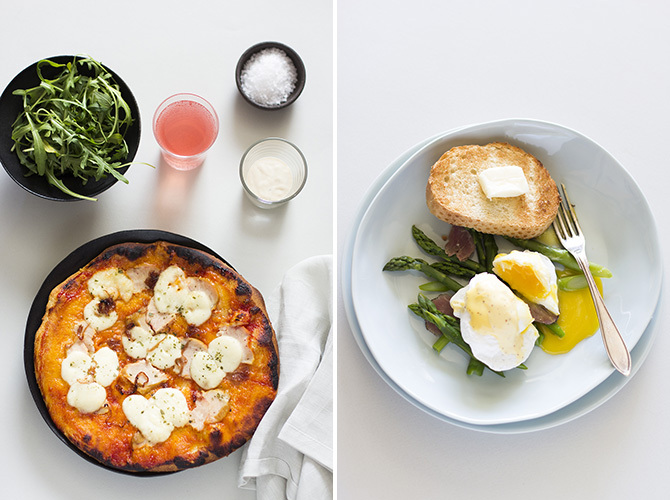 Smoked chicken and mozzarella pizza; poached duck egg, asparagus and toast. 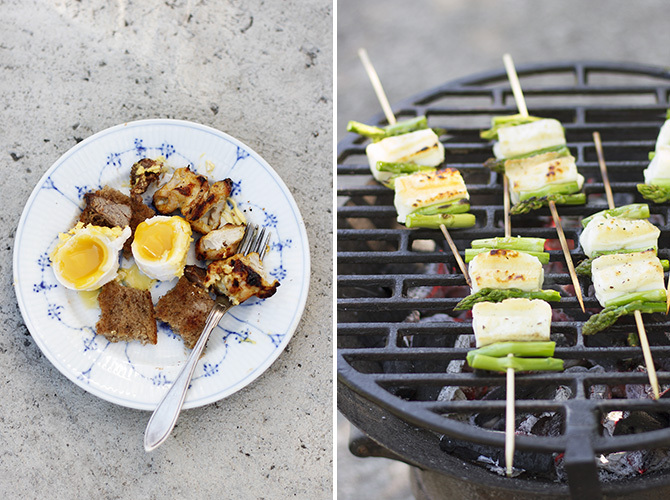 Another duck egg; asparagus and halloumi skewers on the grill. 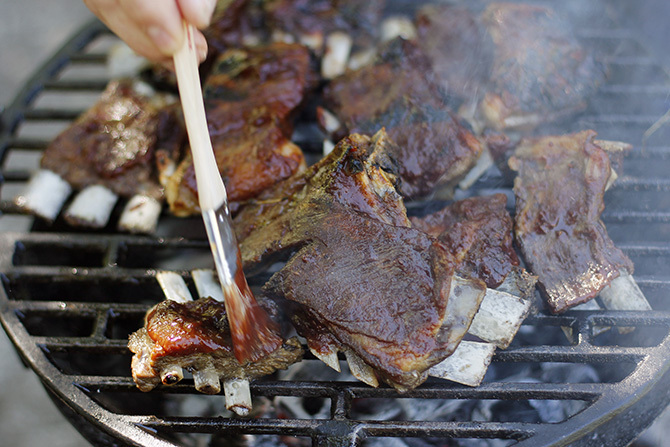 Glazing lamb ribs as they sit on the grill. 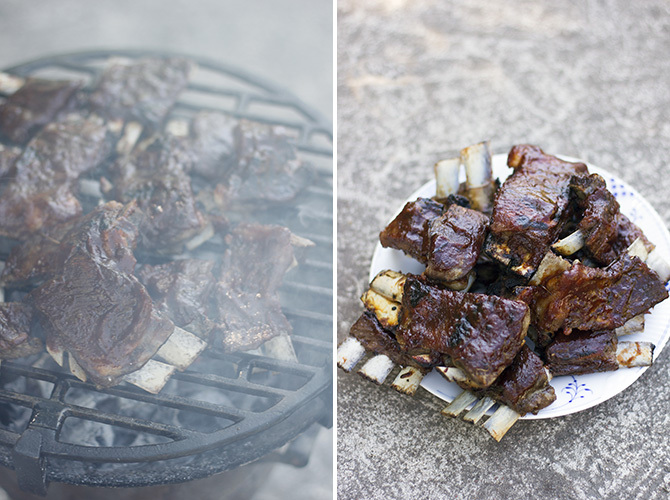 As the fat started dripping, coals took flame and it became nice and smoky. 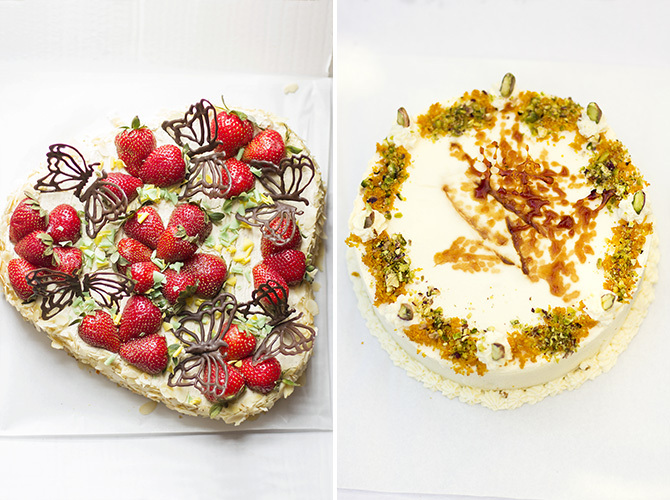 These three tortes below are all from the cake sale that took place in the end of June at the regional training centre. All the cakes, biscuits and tortes on sale were made by the confectionery students for their graduation exam and were put up for sale later. 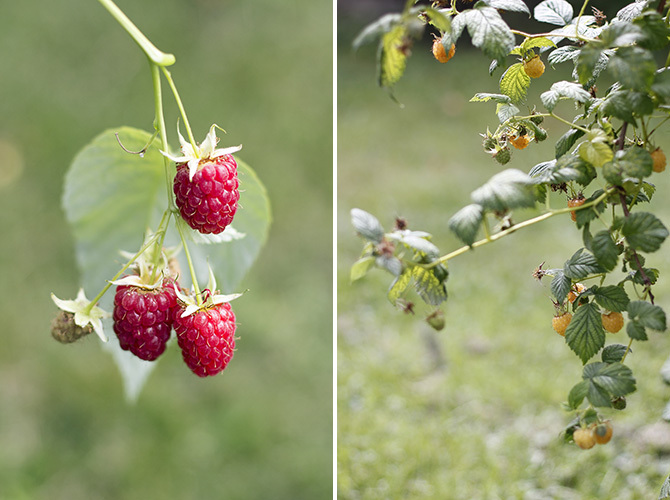 Strawberry-rhubarb-mokka on the left, pistachio and orange on the right. 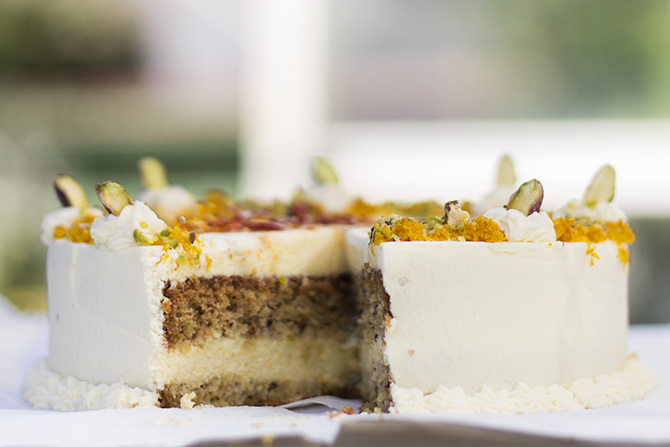 The pistachio cake does not look as showstopping as the other two but the taste was addictive! 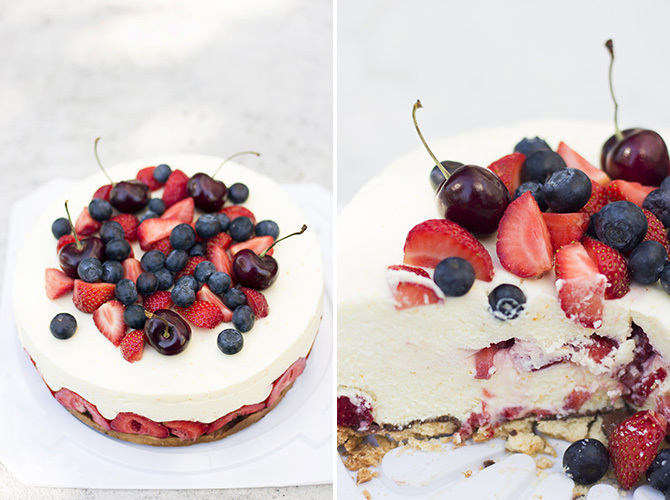 Cream cheese mousse and fresh berries. The cake sale was fun. Again next year! 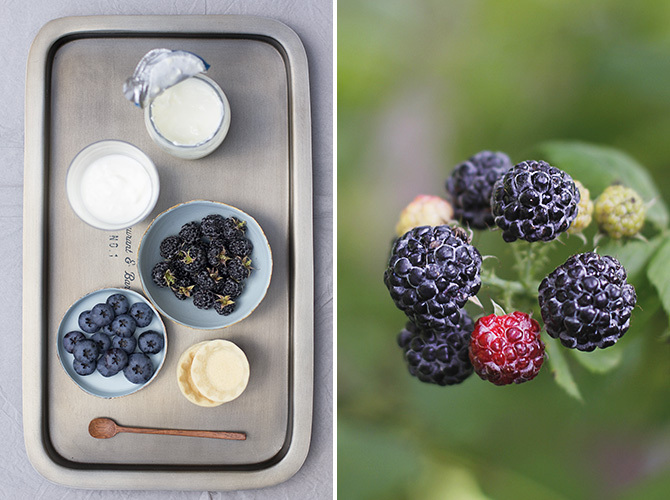 First blueberries from our garden; black raspberry that I planted one year ago is thriving. Starting to regret I'm keeping such a close eye on this now, I should only check it after copious meals! Not sure what other two the pistachio didn't look like ... He who invents e-tasting will die rich though! !